Performing a systems review where the physical therapist screens the cardiovascular/pulmonary, integumentary, musculoskeletal, and neuromuscular systems and the communication ability, affect, cognition, language, and learning style of the patient. Performing tests and measures that are “used to rule in or rule out causes of impairment and functional limitations; to establish a diagnosis, prognosis, and plan of care; and to select interventions” within the physical therapist’s scope of practice. Historically the physical therapist’s documentation was done in the traditional “SOAP” format. In that documentation style, the patient’s subjective reports are under the “S” (for “Subjective”) part of the note. The systems review and the tests and measures are under the “O” (for “Objective”) part of the note. After the physical therapist does the examination, she will evaluate the results to come up with the physical therapy diagnosis, prognosis, and plan of care (which includes the physical therapist’s interventions or referral recommendations). 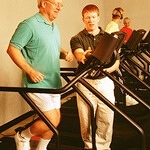 The Guide refers to this process as the physical therapist’s Evaluation. In the SOAP note format, the physical therapy diagnosis and prognosis would be documented under the “A” (for “Assessment”) part of the note. The plan of care for the patient would be documented under the “P” (for “Plan”) part of the note. Medicare and other payer rules have driven the need for documentation to be done in different formats in different settings. Frequently the physical therapy documentation merely reflects what interventions were delivered in a daily “treatment record” or “encounter note.” These notes primarily record what treatment was delivered for payment purposes but do not always record the patient’s subjective complaints or progress. However, under most state laws and Medicare rules, the physical therapist is required to document a “progress note” or “re-evaluation” at least every 30 days (or less under some state laws) if the daily treatment notes do not record objective measurements and progress. The progress note/re-evaluation contains tests and measures and an evaluation of the patient’s progress toward the treatment goals since the initial examination or last re-evaluation. This is the best place to start the search for medical evidence in the physical therapy record if the daily notes are devoid of objective measurements or evidence. Daily notes should not be overlooked, however. If the patient’s condition changes, a new injury occurs, or there is a negative response to treatment, the physical therapist should document it on the day it was discovered rather than saving it for the monthly progress report. Since independence is always a goal, the physical therapist has an expectation of compliance and effort. When the patient is not compliant or shows signs of giving a sub-maximal effort, the physical therapist is likely to document it. The physical therapist may also use words such as “self-limiting,” “pain-focused,” or “sub-maximal effort” to indicate that the patient’s subjective perception of the pain may not be reliable or credible. This does not mean the physical therapist thinks the patient is exaggerating or “faking” the injury but is an indication that the physical therapist has not observed enough objective signs to support the patient’s limitations or reports of pain. The physical therapist may also document comments the patient makes that indicate the patient’s motivation for limiting activities, such as “my attorney told me I should not go on my hiking trip” or “my attorney told me I should continue to wear my neck brace, so I put it back on.” This is not the evidence the attorney wants to see in the record if she is representing the patient. These entries in the record are particularly damaging when the objective findings indicate that the patient is capable of safely doing more, or the attorney’s advice contradicts the medical provider’s advice. On the other hand, where the patient’s subjective complaints are consistent with the medical/physical findings, the physical therapist’s documentation can help give credibility to the patient’s reported disabilities. Source: “Physical Therapy Records”, Medical Legal Aspects of Medical Records, Second Edition, 2010.